The 19th century nurtured a number of exceptional artists who produced iconic masterpieces, and one of them is Ophelia, by famous British artist Sir John Everett Millais. 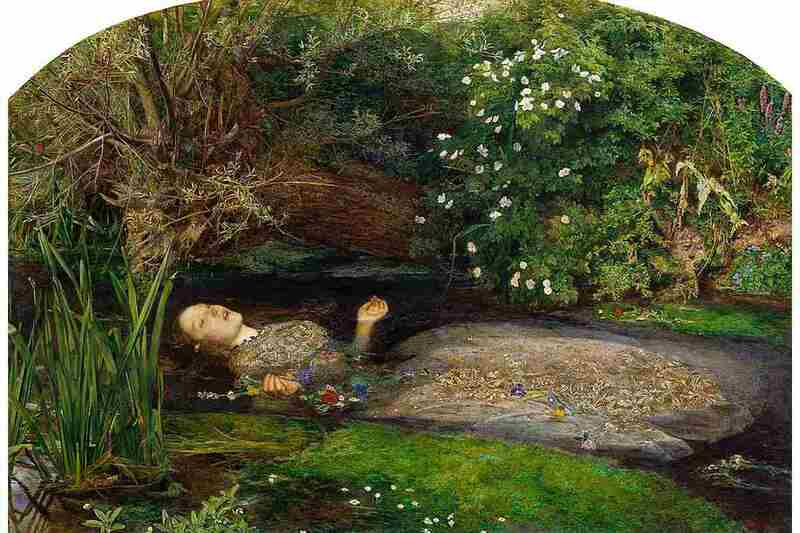 This captivating painting was made between 1851 and 1852 and it features the last moments of Ophelia, a tragic character from the Hamlet play by William Shakespeare. Before we analyze this work of astounding beauty, it is necessary to present the fitting context. Namely, in 1848 Millais founded a specific collective consisting of English poets, painters, and art critics called the Pre-Raphaelite Brotherhood, together with William Holman Hunt and Dante Gabriel Rossetti. In a painterly sense, they were influenced by the Classical poses and historical practices of Michelangelo and especially Raphael, while in a conceptual sense their approach was entirely based on appropriation and appreciation of the medieval aesthetic. At one point, the Pre-Raphaelites split in half, so one group was entirely entranced with medievalism – the ruins of castles, abandoned shrines, the occult, etc., while the other remained as realist as possible. The Brotherhood was supported by art critic John Ruskin, who saluted their devotion to nature and the use of nonconventional compositional methods. However, Millais sailed away from the imitation of medieval art, and in the early 1860s the artist abandoned Pre-Raphaelitism and started practicing a looser style influenced by Sir Joshua Reynolds. The painting Ophelia is not only one of the best examples of painting made within this obscure artist collective, but it is also, as already stated, one of the finest pieces of 19th century art, because it encompasses the ideals of Romanticism, as well as later principles proposed by the Arts and Crafts movement. Truth be told, this painting seems to embody the zeitgeist of the era and the attempt to move away from the past and step into the future. A true masterpiece, Millais’ Ophelia is based on a speech by Queen Gertrude found in Act IV of Hamlet. Interestingly so, this particular scene is not usually included in theatrical adaptations, since in the text it is only mentioned in Gertrude’s description. However, Ophelia was described as a tormented soul making garlands of wildflowers. In order to pick branches of a willow tree, she climbs it and the bough breaks as she feels; Ophelia floats with flowers in her hand and finally drowns. The poetic description of her vanishing is celebrated as one of the best literary examples of death scenes; her pose resembles the pose of a martyr with upwards gaze and open arms. Millais’ working process was conducted in two sessions – first, he painted the landscape, and then the figure of Ophelia. The artist found the perfect scenery for the painting on the banks of the Hogsmill River in Ewell. 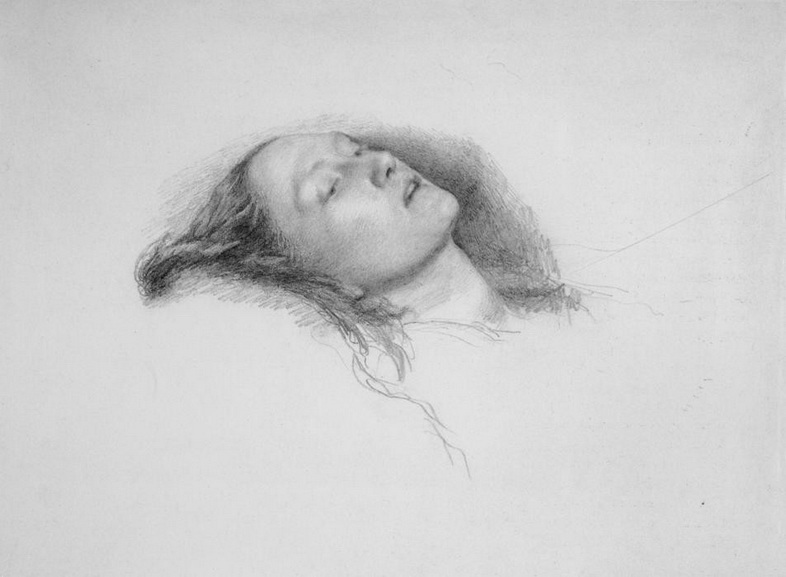 The nineteen-year-old Elizabeth Siddal served as the model for Ophelia. In order to achieve the best possible effect, Millais positioned Siddal to lie in a filled bathtub in his London studio. 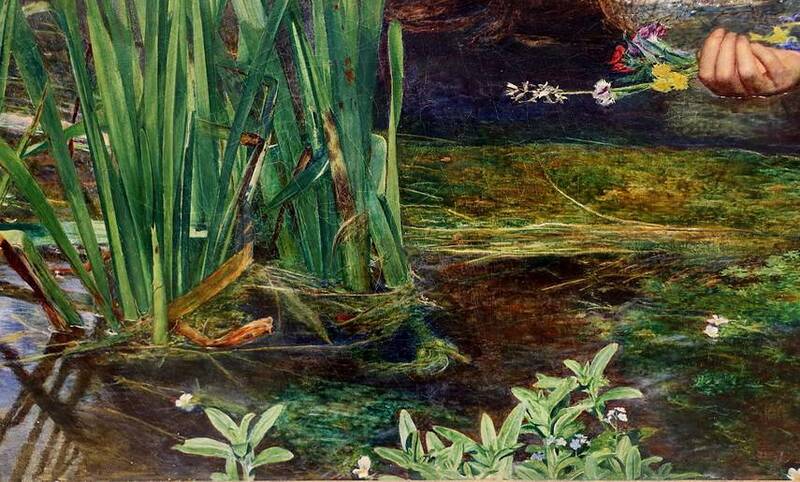 The Ophelia painting is celebrated for the meticulous depiction of the river flora. Although according to the story it was a Danish setting, Millais represented a typically English landscape. The floating flowers were selected according to Shakespeare’s description of Ophelia’s garland, and are revealing the symbolic meaning of each flower. The painter used vibrant colors and was eager to display nature in a detailed manner. This interpretation of Ophelia epitomizes the style practiced by the Pre-Raphaleite Brotherhood – firstly because it is representing a troubled woman tormented by suffering, and secondly, the contrast between the girls incarnate and the lavish surrounding, the trees and the intricacy of her dress. There must be something strangely perverse in an imagination which souses Ophelia in a weedy ditch, and robs the drowning struggle of that lovelorn maiden of all pathos and beauty. John Ruskin, who was a Millais supporter, found the painting technique superb, yet was skeptical about the painter’s decision to present this scene in a British landscape. 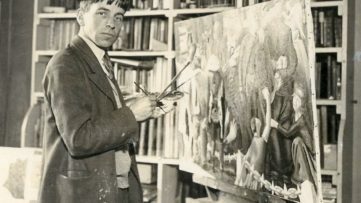 Interestingly so, after the Japanese novelist Natsume Sōseki described the painting as a thing of considerable beauty in his 1906 novel, Ophelia became popular in Japan, where it was on display in 1998 and 2008. In 1851, the art dealer Henry Farrer bought Ophelia from Sir John Everett Millais and resold it to a devoted collector of Pre-Raphaelite art B.G. Windus in 1862 for 748 guineas. The painting now belongs to Tate Britain, London, and is valued as worth at least £30 million. 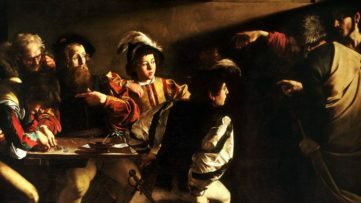 The painting had a huge cultural impact on the development of the 20th-century art and was widely referred in visual arts, photography, and film. For instance, in Laurence Olivier’s cinematic adaptation of Hamlet, Millais’ Ophelia was the basis for the portrayal of Ophelia’s death. The iconic video clip for the song Where the Wild Roses Grow performed by Kylie Minogue and Nick Cave was based also on the painting. Also worth mentioning is Lars von Trier’s Melancholia in which the scene of Kirsten Dunst floating in a stream is apparently influenced by the imagery of the painting. There is no doubt that this painting is much appreciated by everyone. Although it depicts a serene yet grim moment in a human life, it became saluted for its astonishing and timeless beauty. As a founding member of the Pre-Raphaelite Brotherhood, John Everett Millais (1829-1896) spearheaded one of the most radically modern artistic groups in the history of British art. Later in his career, Millais was considered an establishment figure who swapped artistic innovation for commercial gain. For the first time, this book allows us to see Millais in the context of his whole career, arguing that his late works, especially his landscapes, are as dramatic in their freshness of vision as those of his Pre-Raphaelite period. 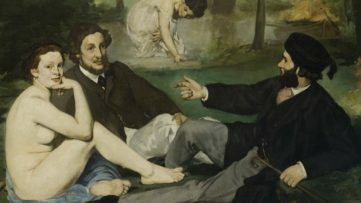 He is revealed as a complex artist with significant links to Manet, Whistler, and Sargent; and one who helped to spark a renewed interest in British eighteenth-century art. Featured image: John Everett Millais – Ophelia, 1851–52. Oil on canvas, 76.2 cm × 111.8 cm. Tate Britain, London. Image creative commons.